0.5m3 mixers refer to concrete mixers with material discharging of 0.5m3 each time. 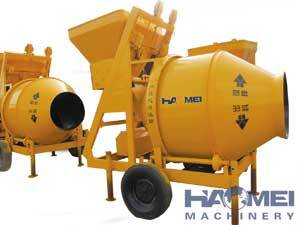 At present, the commonly used 0.5m3 concrete mixers mainly include three types of mixers: JS500, JDC500 and JZC500. JS500 concrete mixer each discharge 0.5 square, productivity is 25 m after an hour, is now the most widely used construction industry concrete mixer, its way of mixing different traditional mixer, stir it using the latest technology, makes the concrete mixer can be different to meet the demand of the concrete mixing, and the built-in vortex concrete mixer, can prevent material and unity. Can be used alone, or for hzs25 concrete mixing plant to provide the stirring machine, is a cost-effective mixer equipment, such a 0.5-square mixer how much? The equipment that different manufacturer produces is configured and performance are different, the price also can differ somewhat, general speaking tens of thousands of dollars can be bought. The JZC500 concrete mixer is different from the JS500 concrete mixer in that it USES the rotation of the agitator cylinder to achieve the purpose of mixing. Its equipment is compact and stable in operation. Compared with the forced type 500 mixer, this type of mixer has lower energy consumption and more convenient operation when rotating. The theoretical production of JZC500 mixer is also 0.5 square, and the price is relatively cheaper than that of JS500 concrete mixer. 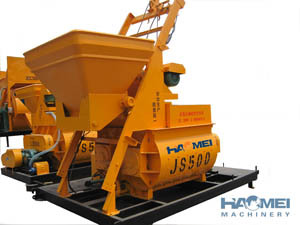 This type of concrete mixer is also known as forced mixer, just different from js series mixer, it belongs to a single horizontal-axis forced mixer, compared with double shaft mixer, slightly inferior in the mixing quality, but also can achieve good mixing effect, JDC500 mixer each discharge 0.5 square, are often used alone, not used with mixing station, the price almost with JS500 concrete mixer, so the general customers no special requirements, choose the more JS500 concrete mixer. To sum up, the amount of a 0.5-square concrete mixer needs to be analyzed in detail according to different models. Besides, the quality of equipment produced by different manufacturers is also different and the price will be different. Generally speaking, the price of mixer equipment produced by big manufacturers is relatively high and the quality will be more guaranteed.